Frame 7 clue 2 is posted and appears to be a picture of some soft toys. possibly in a pet store window ? Thanks to Waffle for letting us know about the new clue. 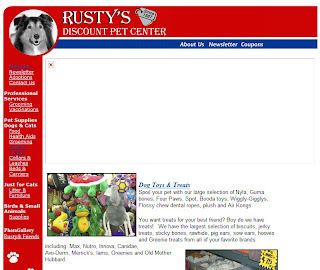 Avondale Blog has found where the pet toy picture came from, it is from a website for Rusty's Pet Store - Ventura Blvd. Studio City, CA. The toys look like dog toys, are we looking for a pet store ? They're definitely dog toys. My dog has that frog and that buckyball looking thing. So a pet store in Madison, WI seems like a good idea. Looking through pictures of dog toys, and wondering what Vincent might say if he could talk, I stumbled upon this picture. Yup. Pet store would be a good guess here. Maybe some kind of adoption event? still looking. no dog events. no pet store showing this particular group of toys. 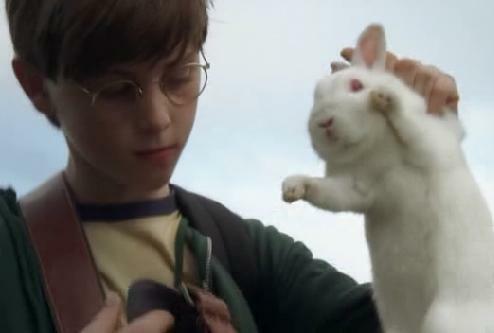 Nice, but I don't see how bunnies fit with the current clues (Vincent, toys). There's a town called Madison, NJ. Is that what you're talking about? JPL I hope we see a Ben poster with a rabbit on it somewhere. That's me donbe for tonight, keep searching. Daniel's work is very cool! Could see this style working very nicely. I located images of some of these stuffed toys though none are directly associated with Madison. I can call around tomorrow to see who carries. Can see what is written on the black object? I think the black object is a toy in the shape of a motor oil bottle, but I'm not sure what it says. I think it has the DHARMA logo on it. Any suggestions welcome. Most stores will not open until 10 a.m. CST. are those "Dollies" with "Madison" like Dolly Madison First Lady of President James Madison and inspiration for tasty snackcakes that come out of Baton Rouge? How about the pet store - Birds & Pets Garden in West Covina, CA. It is on 110 Vincent Ave - close to the intersection of Workman Ave & Vincent Ave..
1Miletogo...that sounds very interesting...Perhaps the next clue will be a pic of Roger Linus in his "Workman" Dharma jumpsuit? That would certainly pinpoint the address...but I still have a feeling they will steer clear of another event in either NY or CA...You would think they would want to spread these events out across the country a bit more. I just found this blog, by a man called Vincent Madison, who's profile says he is the Director of Oceanic Airlines. 3. Is this site connected to LOST? Yes and No. Originally Vincent Madison created and ran Alternate Reality Games based on LOST, however they were all fan-based creations, created by Aralai Productions, which has no affiliation with ABC, LOST, Touchstone Pictures or Bad Robot. There may be references and shout-outs to LOST in Vincent's novels, but there will also be references and shout-outs to many TV shows and fictional characters you may be familiar with. Just another in a series of coincidences? Seems like the Vincent is Madison link has been made before. This reminds me toy shop where Jin bought those pandas. I found that link last night too. That's definitely the same logo/tag on the frog as in the clue. But I thought it was just an online store. I couldn't find any links to real stores. "Vincent Madison" put on a unofficial fan created ARG a couple of years ago. He did an awesome job. Can you guess who found physical clue 1 placed in the international terminal at DFW? Morning all. Tks for .jpgs Rev. Any more thoughts before I start make those phone calls? Vincent Madison, I remember his podcast from a few years back! He had this very strange voice..
Lottery_Ticket, only thought is although Dolley Madison does make cakes and we have seen a theme...those are dog toys, not dollies. So I am still pulling for your neighborhood. have to take the toddler to the doctor, I'll send a clue twitter prayer while in the waiting room. and I have to say, having poster 5 in hand you really start to appeciate it more. I was on the fence, but it is a beautiful print in person. Rev, any and all prayers welcome. Bit of a Doubting Thomas this morning. Did I mention that I have #108 for Love Triangle? A consolation prize. I haven't even got poster 4 yet. I think Tyson decide to preprint labels for me to save himself the headache. Does anyone know who was the first to order poster number 6 and if they have gotten it yet? There's usually a clue in the congratulations letter. Poster 6 (#121) just arrived. They're turning around delivery pretty quick. Funny thing is that my card hasn't been charged yet. Same thing happened with poster #4 - delay in charging. The gold paint used is very cool and the black gloss is exactly as described. Will try to get some photos. There is someone who may have the first poster number 6, but they have said they want to remain anonymous. No word on a prize or letter yet though. JPL - much appreciated, sounds like it might be a hard job though as photographing gloss is always quite tricky. PetsMart has the green frog chew toy. They couldn't type the e thingy. That's a known error. It's on Lostpedia. Wow, good research. I'll be disappointed if that's the place though, because hey, um, there's a whole middle of the country that isn't East Coast or LA/SW. Avondale Blog: Oh, thank you for finding this! Funny, 'cause their website header says 1987 on the dog tag. Thanks folks. I've been searching off and on for hours. Gave up on pet stores in Madison or Vincent. 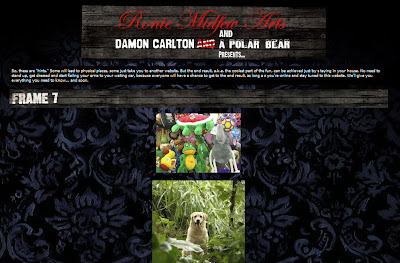 with the topic "pet toys"
Thanks again 1Miletogo. We seem to be following the same blogs. Hope we get another clue soon. That about sums up what we have so far. Avondale Blog - good find, I'm going to update the main blog page. Thanks Zort70. I hope it proves to be useful and not just a red herring. I searched pet toys with google images but got lazy and quit after about 5-6 pages. Great work, Avondale Blog! Studio City is about 15 minutes from me. If it's happening there, I'M there! So far we have had 2 water cooler moments from Season 1. The Crash and The Numbers. One from Season 2 or 5 depending on how you "look" at it The 4 toed Statue. Three from Season 3 The Dharma Van, Locke' Secret and The Love Triangle. Which season do you think the next one wil be from? Season 4 or 5? Or another one from season 1 or 2? As long as it's good, I don't care what season it's from. No mistakes in the poster, like the last few! Am I the only one that think they look like carnival prizes, and hence it is a clue to 'vincent price'. remember clue 2 can come from a image source other than the actual location. Just called Rusty's and talked with the Asst. Mgr. He said I was the first to call! He did hear something about something happening this week with LOST!!!!!! This just might be it! *grumbles about ANOTHER event in LA. It's funny...I first asked if he knew anything about a promotion happening with a TV show. He said that doesn't happen until Dec. (Apparently they give away TV sets around Christmas time!) Then I zeroed in and asked if anything is happening this week with a TV show called LOST. That's when he said yes, he had heard about that, but that's he knows! Good work!!! You all go there. Oh, and GO CLIPPERS!!! I was looking some input on what other water cooler moments they might chose from. I don't think any of them have been bad. Some of them haven't been in my taste. I don't really look at them as mistakes, just artistic interpretation. That's great good work. I'll be following you on twitter if this pans out and you go to the event. lol Hey that great good work. I guess I couldn't make up my mind. Geez. I dunno, the random highlighted "5" and the wrong foot are certainly not good. You know I never even noticed that until it was pointed out. I just really like it. I don't know I guess I'm not that picky. I love the 4 toed statue. If I justify it I'd buy it too. I think it's very artistic of course that's just my opinion. Both of those pieces give me a good feeling. Good memories of the show. But again that's just me. Everyone buys art for different reasons. True... I actually love the concept of the statue poster. Just the combo of no 4-toes and the wrong foot soiled it for me. We LOST fans are a detail oriented bunch. Yeah I guess you're right. It would have been nice if they had shown the four toes. And trying to be artistic they chose to highlight the right foot while trying to incorporate the rest of the statue. Since the right side of the entire statue is the only side we seen. But I guess I forgive the artist. Just finished watching the first Flash Forward, very good so far. Maven great work, sounds promising. Perhaps Vincent / Madison will make a guest appearance ? pictures of poster 6 are up now. I also enhanced the skull from poster3 if you want to take a look at it. I'm hoping Madison/Vincent makes a guest appearance at Rusty's! Zort wonders why Rusty's was chosen and so do I....Maybe it's close enough so they can messenger stuff instead of shipping things cross country? ReverendMilo, great photos. I think "Love Triangle: might have black light effect? In honor of Vincent and the pet theme, I've changed my icon to my pretty yet spoiled rotten dog, Bo. @Lottery_Ticket, I'll pull my blacklight rig out after dark and check. i think the reason they are doing it at rusty's(near L.A.) is because madison/vincent is probably going to be there, and they don't want to have to take the dog cross country unless they are filming or whatnot. Like the enhanced skull, brings it to life, so to speak. I'm slightly disappointed, or I would have been if I'd bought the poster, that there isn't anything hidden on the 4-toed statue poster. Still I'm sure it will look great on a wall anyway. I agree Amy, Mr.No-Toes-Wrong-Foot didn't move me to stick my VISA in the slot. :o) You're right, Lost fans are into details. It wouldn't have been that difficult to select an artistic angle to represent the statue accurately, but that's the way the artist went and that's OK.
Why the anonymity on first poster number 6? I hope they will reveal the text of their letter. Prize photo would be nice too. RevMilo, how do you get your posters to flatten out so well for your photos? Good work! ReverendMilo: That's the best shot of the skull I've seen. Good job! New clue up! Ventura Blvd! Maven! Go Go Maven! You must be so excited. OMG...it's really true! Rusty's on Ventura Blvd.! That's the main drag in the San Fernando Valley! LOL I sure hope it's at a good time...I've got things planned that I can't get out of! Their hours at 8AM-9PM M-F, Sat opens at 9AM and Sun opens at 10AM. For those going it's east of Colfax. Been following this blog for awhile. Great detective work! Called Rusty's again to try and get a time & date. Most clerks didn't know what the heck I was talking about. Talked again with the Asst. Mgr. I'm still the only one calling. He denied knowing when this will happen. He was very nice, but said the only one who knows is the owner and he's out of town until Thursday! This was planned over a month ago! Looks like I'm a few minutes too late and in the wrong city. So, Maven, based on your conversation, are we thinking a Thursday event? Sandman: Yes, that's the feeling I got from the Asst. Mgr. I joked around with him about whether he was told to deny knowing anything, and he laughed and really didn't seem to know the details. The other 2 clerks I talked to first had NO idea what was going on. But he did offer me the info that the owner is the only one who knows and he's out of town until Thursday and it was planned over a month ago. I'm hoping Vincent/Madison shows up (or a look-a-like) with a collar having the url on it! That would be so cool Maven!! hmmm...Thursday better put that on the calendar! Thursday I'm planning on going to the LA County Fair. Hubby took off a day from work to go during the week! It ends this weekend! This better not be Thursday! I'm willing to give up Mah Jongg on Friday if it's Friday!